Collectors and Protectors "Selling the Past: United States v. Frederick Schultz"
Schultz's trial has reflected the sometimes bitter differences between those who want to acquire antiquities and those who want to protect them. "One of the problems in this debate, which some people call the 'cultural property wars,' is that there are two sides who are really polarized," comments Ricardo Elia. "Acquisitive" interests including NADAOPA, the Art Dealers Association of America, and Christies, Inc., filed an amicus curiae brief in support of Schultz. NADAOPA, which wrote that "this indictment has sent shock waves through the art world," did not respond to repeated calls. 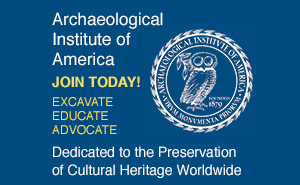 "Protective" interests including AIA, the Society for American Archaeology, the Society of Historical Archaeology, the American Anthropological Association, and the United States Committee for the International Council on Monuments and Sites filed a brief opposing Schultz's legal arguments. Many antiquities dealers, collectors, and their organizations argue that more stringent antiquities restrictions disrupt free enterprise and prevent people with the best ability to care for antiquities from doing so. "Beautiful objects have always been moving around the world, following the new sources of power and wealth," Tokeley-Parry said at his own trial. "It seems to me that as long as these objects are where the power is and where the wealth is, they will be cared for." Some also argue that the trade is a beneficial cultural exchange. "I value collecting, the movement of art across national boundaries, in the same way that I value the movement of ideals and people across national boundaries," explains Gary Vikan, director of the Walters Art Gallery in Baltimore and a member of the Cultural Property Advisory Committee that oversees antiquities agreements. Vikan adds that the United States may be working against some of its own citizens when it upholds foreign laws. "As the United States acts on behalf of foreign countries in helping them to enforce their own laws, they do so of course as a favor to the foreign country," he says. "But it is potentially at the expense of the interests of their own nationals, for better or worse." Many cultural heritage interests, including archaeologists, anthropologists and countries of origin counter that a less stringent regulation of the antiquities trade only further encourages looting. 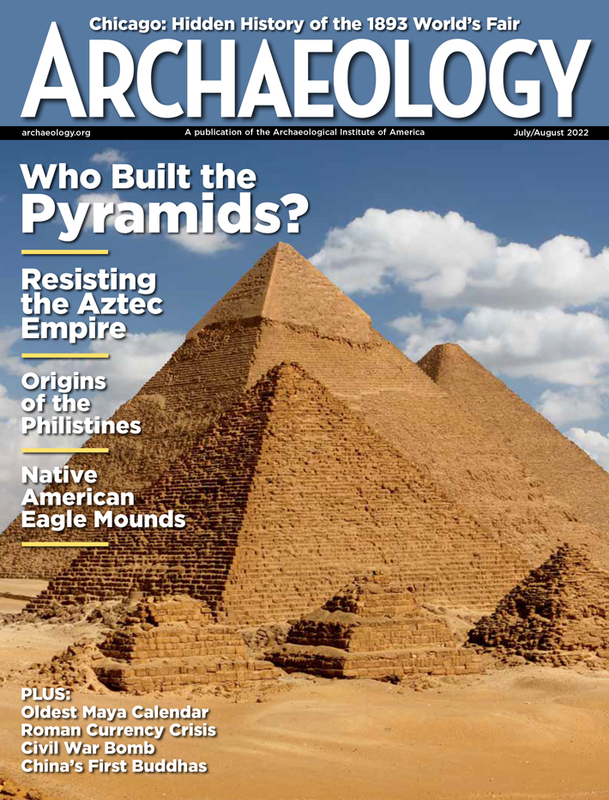 "For many years, concerned archaeologists have indicated how the attitudes of some antiquities dealers in the U.S. and indeed of a number of leading museums have created a climate in which the traffic in illicit antiquities promotes the looting of archaeological sites worldwide," says Lord Colin Renfrew, director of the McDonald Institute of Archaeology and the Illicit Antiquities Research Centre at the University of Cambridge. Archaeologists and their colleagues believe that routine looting destroys the information that could be learned about cultures in situ. "The main thing with acquisition by looting is destroying this irreplaceable cultural heritage, this record of past cultures that we will never get back," exclaims Elia. "The context of where something is found and in association with what, all of that information, is the primary and almost sole way to learn about many ancient cultures of the world." Zahi Hawass points out that looting can also damage the spiritual meaning of an archaeological site for modern local inhabitants. Hawass identified four looted artifacts in New York for the F.B.I. during the Schultz case. "Two of the artifacts were wall reliefs from the Old Kingdom Dynasty Six, and these reliefs were cut from the tombs," he says. "You can imagine the horrible appearance of the tombs after they were brutally desecrated. The tomb robbers are not only destroying the tomb but its spiritual value." Vikan says that national property laws are logical because of this inherent value of antiquities for indigenous people. "Like oil under the ground, claiming the antiquities as national property makes sense," agrees Vikan. "I value that notion because for the country of origin, that wealth in the ground is a yet undiscovered instrument in defining their national identity and an object of intrinsic worth." Vikan concedes that he has overseen unprovenienced antiquities collections in the past, before regulation, but says that he now favors a compromise between antiquities collecting and statutes to legitimize their export and import. "Right now the model is that this stuff moves like drugs: evil, ugly, rotten and terrible," he laments. "Why can't it move like oranges and bananas?" Eisenberg and some of his colleagues founded the 33-member International Association of Dealers in Ancient Art in 1993 to support more ethical dealing practices. He reiterates that not all dealers and collectors oppose protective regulation. "There are rotten apples in every barrel, but there are also people who are proud of what they do," he says. Vikan proposes that museums and owners sell more of their "multiple" holdings to the market, such as some of the many statues the ancient Egyptians produced of the cat-headed goddess Bastet. Some national museums are already authorized to sell "multiples" and have done so in the past. "Maybe they could sell them and upgrade the climate control capacity of their own museum, while projecting their own cultural history across the face of the world," he says. But while common or "multiple" objects are often less desirable to dealers and collectors, many archaeologists, anthropologists and historians consider each artifact potentially enlightening, especially in situ. Elia vehemently disagrees that a regulated antiquities market will prevent looting, pointing out that it hasn't worked in the past and likely couldn't support current demand. "In countries that have allowed free trade in antiquities, like Israel or Egypt before Carter discovered King Tut's tomb, there has been a brisk legal trade in antiquities but at the same time a rife documented looting problem," he says. "The fact that legal trade is handled by the country does not necessarily mean that looting will go away." Patty Gerstenblith is more optimistic. Gerstenblith is a specialist in cultural property law at DePaul University, a member of the Cultural Property Advisory Committee and editor of The International Journal of Cultural Property. "They could continue dealing and collecting in objects that predate the national ownership laws in the countries and any bilateral agreements between the United States and the country of origin under the UNESCO Convention, as long as they're documented," she says. "And if the country chose, it could place cultural and archaeological objects either on long term loan or lease to American museums, or on the market with proper documentation."